In 1979 the Steelers were a defending champion and were the NFL’s best but it was evident teams were catching this aging team. One of the most unique elements of this champion is how mistake prone they were. Did you know this was the only Super Bowl champion that won the title while leading the NFL in turnovers?? They had 52 turnovers and still went 12-4. 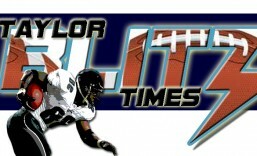 In two of those games they turned it over 9 times in a 34-10 loss to Cincinnati, then 8 more in a 35-7 loss to San Diego. 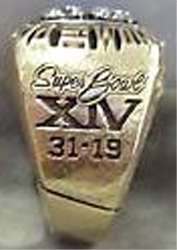 However they could show extreme force as they beat Denver 42-7 and Dallas 14-3 in Super Bowl XIII 1/2. They bludgeoned two playoff teams that played in the last two Super Bowls in back to back weeks. These came during a four game stretch where they held each opponent to under 10 points. Yet they were bookended by the numbing losses to Cincinnati and San Diego. 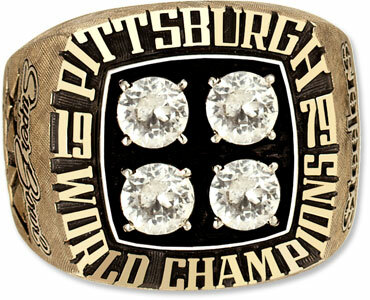 The other unique aspect of this team is it’s the only champion ever comprised of players who had only played for Pittsburgh. All original draft picks and free agents. When they made it to Super Bowl XIV, it was almost a celebration of the Steeler way when they faced the Rams with 3 former Steeler coaches in Defensive Coordinator Bud Carson, Woody Widenhofer, and Dan Radakovich. These men were a part of the dynasty since they were on the staff back in Super Bowl IX and X. When this team was challenged they could focus and win on experience. Truth be told the tell tale signs were there this would be the last year they would be ahead of the NFL pack. Their 31-19 win over the Rams out in The Rose Bowl was more a curtain call for those great aging Steelers. 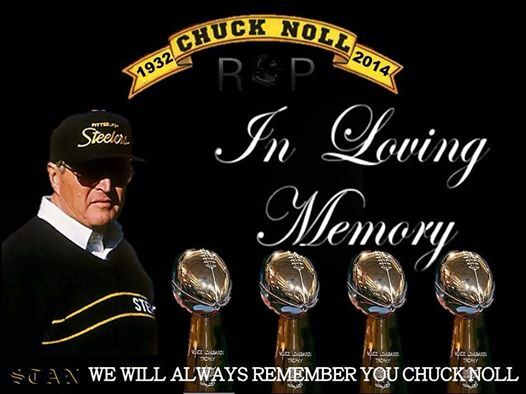 Chuck Noll’s men took their place as one of the NFL’s greatest dynasties. This entry was posted in Ring of Champions and tagged 1979 Pittsburgh Steelers, Bud Carson, Chuck Noll, Dan Radakovich, Pittsburgh Steelers, Super Bowl, Super Bowl XIV, Woody Widenhofer. Bookmark the permalink. Will never forget that 35-7 loss to San Diego … talk about a team that didn’t show up that day. A good wake-up call for them, though. 1980 season was a disappointment, for sure (and we’re going to be replaying that 9-7 campaign soon), but I remember watching them in Tampa Bay (was on sidelines for second half), and they were still imposing to say the least. They still had Bleier, Wagner, Kolb, albeit creakier. What killed them in the ’80 campaign were the two tight losses to the 6-10 Bengals (by one point and two points) and a one-point loss to Cleveland; winning those three games would have won them the division. Of course, they tellingly lost that 45-34 MNF contest to Oakland, which had radically changed its own chemistry by sending Stabler, Casper and Tatum to Houston. They still showed shades of their former glory in the close losses to the ’81 Niners and the ’82 Chargers in the strike postseason — and would likely have won those games had they been at full strength. I thought time had passed those Steelers by by then. They were on fumes at the end of both Super Bowl XIII and XIV. The games they played were getting closer and closer. By 1980, they had come back to the pack. Age and injuries slowed them like all teams. That 45-34 loss to the Raiders at home in 1980 proved it. The Cincinnati Bengals kept beating them and that ended the era on them.